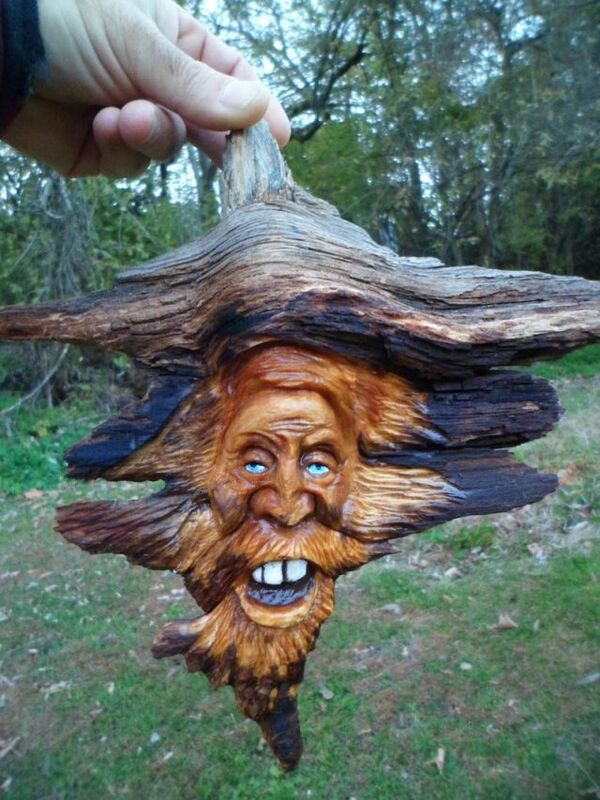 This wood spirit is carved out of a pine knot and hangs on the wall. (He has a hole drilled in the back for easy hanging). He is around 12 inches tall and around 8 and 1/4 inches wide across the top.